We all have our own mental image of rural Wales, whether it is rolling fields or rugged mountains, but we have become so accustomed to expecting this green and pleasant land that we have stopped questioning if everything is alright here. It’s not! Farmers are struggling as a result of exceptional weather caused by climate change, spiralling input costs, price volatility and reduction in support. In addition, as habitat suffers we are losing wildlife and the vital ecosystem services that rural Wales provides for society. In Montgomeryshire, farmers are leading the way to resolving these problems. Working with Montgomeryshire Wildlife Trust, through the Pumlumon Living Landscape Project, farmers are restoring essential ecosystem services that we all require – forging a link between habitats, wildlife and long-term sustainability across the Cambrian Mountain range. This region of the Cambrians supports the largest watershed in Wales and is the source of the nationally important and vibrant Wye, Severn and Rheidol rivers. 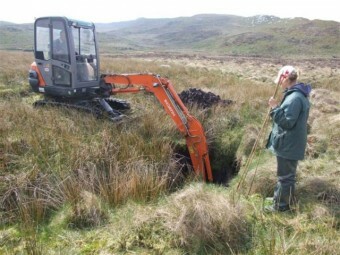 The project area covers a mosaic of locally, nationally and internationally important habitats and species including blanket bog and dwarf shrub heath. The Trust is also working with farmers to create and market high quality, added-value products for local markets such as ‘Conservation Beef’, using the Wildlife Trust logo. 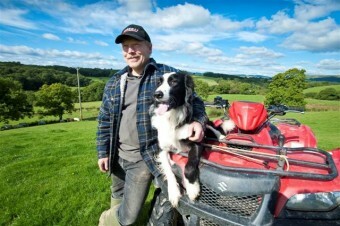 Mike Lewis, one of the Pumlumon farmers benefiting from the scheme, runs Welsh White Cattle and conventional breeds of sheep on his 150acre family farm in Radnorshire. Mike and his family have always had a keen interest in working with the environment on their hill farm, restoring kilometres of diverse hedgerows and managing unimproved pastures as species-rich hay meadows. As a result the farm supports a healthy population of songbirds and small mammals. Mike believes: “Farming isn’t just about beef and sheep. It’s about being able to make a living off your land and looking for opportunities – such as the Pumlumon Project is offering them. Locking up carbon and holding the water back is just another way to farm the land. At the end of the day if someone pays you for it, that’s farming. Same as turning a field over to a campsite”. 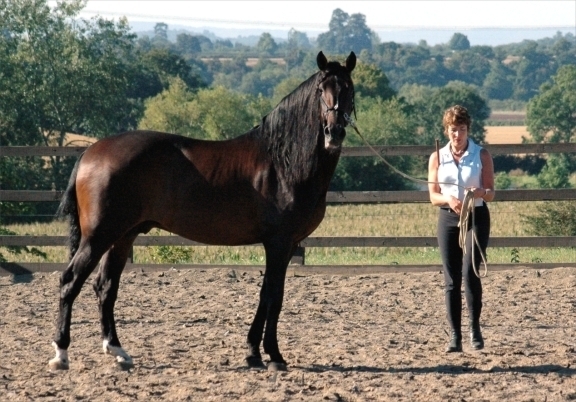 Jane Lloyd Francis is a farmers’ daughter from the Machynlleth area who returned to Montgomeryshire with her husband George Dewez to develop a Classical Dressage training centre on their 70acre farm. Through her involvement with the Pumlumon Project Jane has introduced cattle onto certain areas of the farm to enhance biodiversity. She has also established a number of new species rich hedgerows and riparian corridors on some of her improved grasslands to help improve water quality and support flood water management. This also provides more habitat connectivity and provision for wildlife.